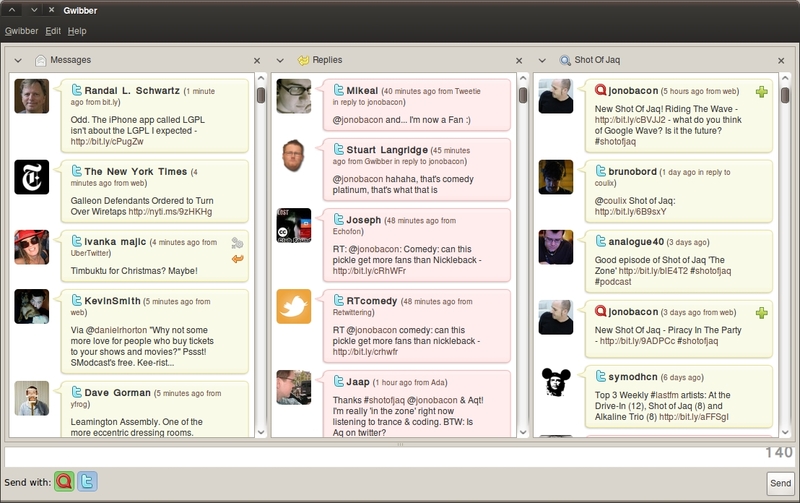 Gwibber is an open source microblogging client for GNOME developed with Python and GTK. It supports Twitter, Identi.ca, StatusNet, Facebook, Flickr, Digg, FriendFeed, and Qaiku. 3.8 series is the current focus of development. What to do if gwibber shows nothing on Fedora 16?